There’s always been a rumor going around the motorhead world that Adolf Hitler was the driving force behind the production of the Beetle – and it’s not exactly false. During his reign, Hitler wanted his German people to be able to afford a family car that was directly inspired by nature and the animal itself. He noted that “You only have to observe nature to learn how best to achieve streamlining,’ so he enlisted the help of Ferdinand Porsche (yep, THE Ferdinand Porsche) to design the car – although designs were already in place before Hitler had his say. Nowadays, you normally associate the Beetle with the iconic American movie, Herbie Fully Loaded. Yet, that wasn’t always the case. When the Beetle was first released in the United States in 1949, Americans really weren’t fussed with the new car and weren’t impressed enough to add it to their ranks. In fact, only two Volkswagen Beetles were sold during the first year of release. After a while, sales of the car started to pick up, and in 1970 alone, there were around 570,000 Bugs in the US. 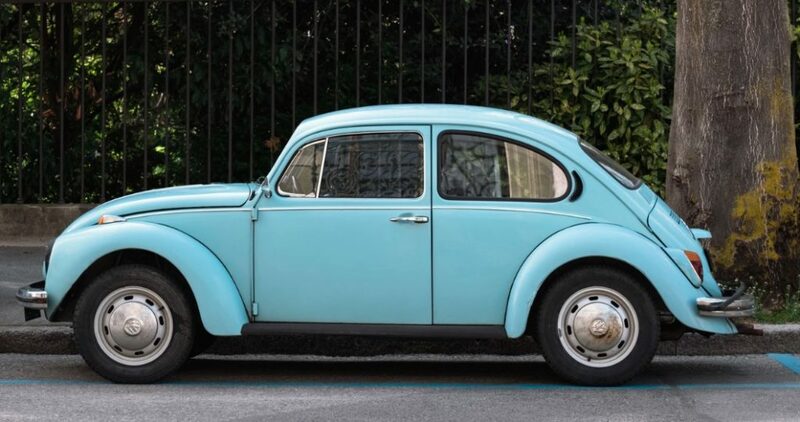 When you see the iconic curves of the Volkswagen Beetle, you just know its a Beetle – but it turns out that Volkswagen didn’t actually choose that name. The car company originally called their new addition the Volkswagen Type 1, before car enthusiasts started calling it the Beetle. By the 1960s, Volkswagen decided to roll with the name, and officially renamed it the Volkswagen Beetle. It’s fair to say that the name Beetle or Bug is just downright adorable, but the US and the UK aren’t the only countries in the world to bestow this car with a cute name. In Italy, the car is called a ‘Maggiolino,’ and in Brazil, it’s called a ‘Fusca’ – which both mean ‘Beetle’ in their respective languages. Yet, other countries have strayed from the beetle animal. In Bolivia, they call the Volkswagen a ‘Peta’ or ‘Turtle,’ while they call it the ‘Kodok’ or ‘Frog’ in Indonesia. When you think of the Volkswagen Beetle, you probably immediately think of the ‘Think Small’ tagline, just as you would think ‘Just Do It’ for Nike, or ‘I’m Lovin’ It’ for McDonald’s. However, what most people don’t realize is that this ‘Think Small’ campaign has actually won awards. In 1999, the Volkswagen Beetle advertising campaign was named the best campaign of the last century by the Advertising Age. One of the main reasons why Beetles are still so popular is the fact that they have played a huge part within popular culture. One of these cars stood proudly on the cover of The Beatles’ iconic album, ‘Abbey Road,’ The Fremont Troll Sculpture which is located in Seattle is actually clutching one of these cars in his hands, the Herbie television series and film franchise has proved hugely popular over the years, and the original Transformers cartoons featured a Beetle Bumblebee, before he was later changed. When you were younger, there was a high chance that you wanted a Bug so that you could incorporate the flower vase of the ‘blumenvasen’ on your dash. By the late ‘90s, the vase had become so popular with Beetle owners that it became a permanent feature within the design. However, the vase was rejected in 2011 when the company decided to ditch the flower power to make the design more male-friendly. Nowadays, we’re so used to seeing Beetles on the roads we don’t really look twice, but we have a feeling you wouldn’t be able to look away if you saw the one-of-a-kind Bugs that exist around the world. After producing a whopping 1 million cars in 1955, Volkswagen decided to celebrate their achievements by gold plating their next car. As if that wasn’t cool enough, the company also covered the car in diamantes. Yet, this wasn’t the first time Volkswagen made something special for their fans. The company has also produced a unique car made from wicker with the help of the famous wicker basket-maker, Thomas Heinrich. Sadly, Volkswagen no longer produces their iconic Beetle car – but they decided to commemorate the last ever car they made by keeping it safe in a museum. This Beetle, one they called Beetle #21,529,464 is currently located in Volkswagen’s Auto Museum in Mexico. 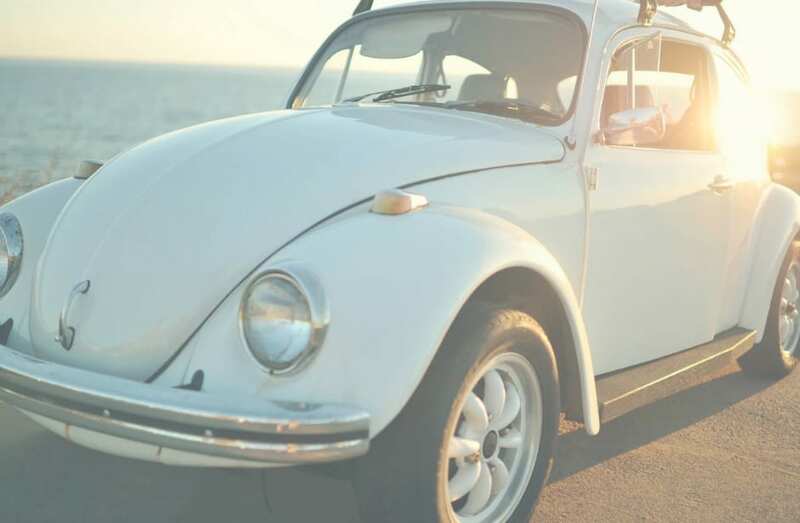 The Volkswagen Beetle is one of the most famous cars in the world, but did you know these not-so-small facts about the car?